The Montreal Canadiens have had quite the season. Trading for Tomas Kaberle and his awesome contract in early December, firing Jacques Martin in mid-December and facing a barrage of controversy because their interim head coach, Randy Cunneyworth, doesn't speak French, Mike Cammaleri being traded in the middle of a game to the Calgary Flames and who can forget Scott Gomez's one year without a goal? They sure are exciting off the ice, but on the ice, they're battling to stay out of the Eastern Conference basement with only a few bright spots to reflect on as they will miss the Stanley Cup Playoffs for the first time since 2007. Despite his 25-26-10 record, Carey Price has been great this year and represented the team well at the All-Star Game in Ottawa with his personality. While fans might get on his back, he can quickly gain them back with his exciting play and compete level. Speaking of compete level, Max Pacioretty is a robot. Scoring his 30th goal of the season on the one year anniversary of breaking his neck was just awesome as he became the Habs first 30 goal scorer since 07-08 when Alexei Kovalev potted 35. 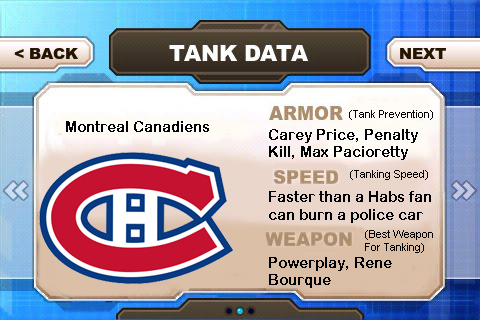 Another helper for the Habs tank prevention is their penalty kill which holds down the #1 rank in the NHL at 89.5%. Despite being shorthanded the second most times in the league at 276, they've only allowed 29 goals with a man down - that's impressive. If the Habs are to make it out of the Eastern Conference basement and prevent tanking, it will because of Price, Patches and their PK. The Habs are not an awful team, but they're also not a great team. Too many losing stretches have cost them and with only 9 games left in their season they sit 15th in the Eastern Conference with a 28-32-13 record. They're in tough the next 6 games with games against playoff teams, but their final 3 games are against other tankers in Tampa, Carolina and Toronto. With a tough stretch to end March against desperate teams, they could find themselves deep in the Lottery come April. The Habs powerplay is almost non-existent with a 14.8% that ranks them 27th in the NHL. This is surprising as their powerplay since the lockout has been dynamite with 6 top 10 powerplay finishes in 7 seasons including the distinction of having the top powerplay in the league from 2006-2008. Montreal's powerplay woes are compounded by the fact that some of their top players aren't finishing, such as Rene Bourque who has been horrid since joining the bleu, blanc et rouge. In 29 games with Montreal, Bourque has just 4 goals and 7 points, and is a -16. For a player with 3 consecutive 20 goal seasons, and even scored 13 before joining the team, his production has dropped threefold and appears to being doing more damage than good for the Habs. In the Greatest Tank Battles, the Canadiens will be looking to draft in the Top 5 for the first time since 2005 when they took Carey Price. With a good bunch of solid players on their roster including Subban, Pacioretty, Plekanec, Desharnais and Cole, maybe the off-ice distractions were just too much for this team, but they should rebound strong next year with a healthy line up and French-speaking coach (because they win games). As a Leaf fan I hope the Habs jump by us. Has a Habs fans...No way José. 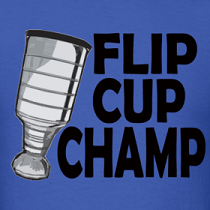 You had your chance, but you prefered Kessel instead of 2 top picks. Habs will finish 5th last in the league and win the Lottery pick. Have a gut feeling. But I will admit I wish the Leafs had Seguin and Dougie Hamilton.